Say hello to another outfit post from me, featuring my current go-to shade - baby blue. I just can't get enough of wearing this colour at the minute - I think it looks amazing with a tan and compliments all my favourite pastel outfits. Speaking of pastels, I am totally obsessed with this pastel blue shirt I was recently sent from Hawes & Curtis, a luxury shirt brand. It has a gorgeous rounded collar, tiny little dots all over and feels amazing on. 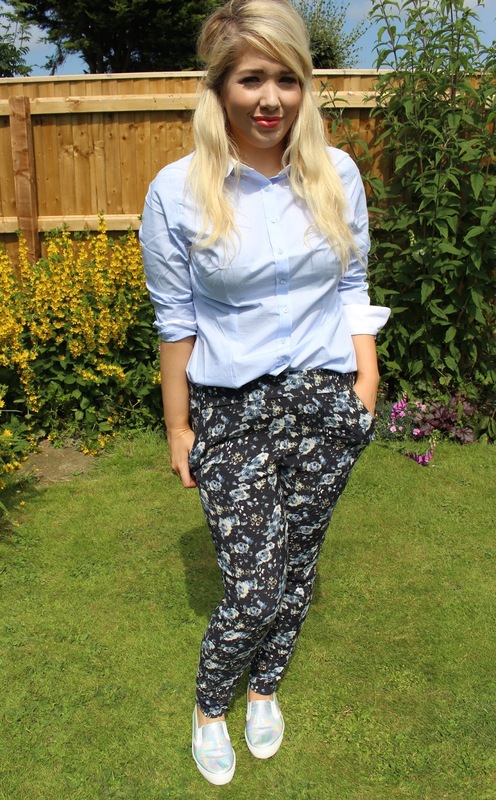 I thought I would pair it with my oldy-but-goody floral trousers from George at Asda, which are seriously comfy and perfect for the summer. 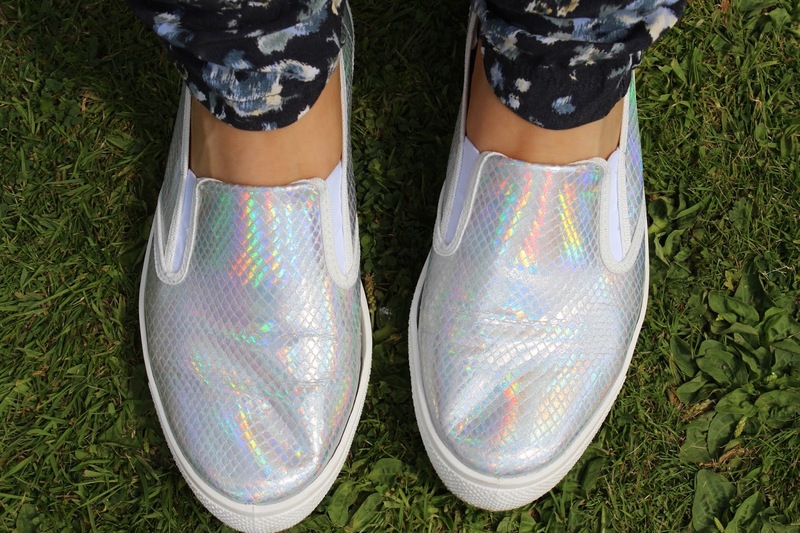 Of course I couldn't resist wearing my holographic Miss Selfridge flats, which are getting a lot of wear at the minute. I think they compliment the outfit perfectly. I don't tend to wear shirts too often in the summer but after introducing this baby blue number into my life I can definitely see that changing. I think it'd look great with some jeans or tucked into some denim shorts too - or even with one of my many floaty skirts. I'd definitely recommend checking out Hawes & Curtis if you're on the hunt for some ladies shirts. I hope everyone is having a positive start to the week! Let me know what you think to my rather shirty outfit!